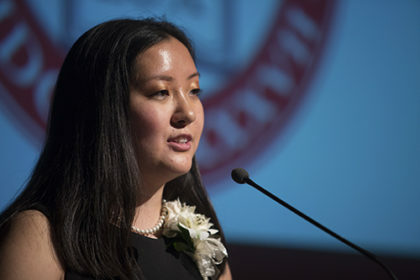 The First Destination Report by the LEEP Center’s Career Development Office finds 98% of the Class of 2018 meeting their post-graduation goals. Since they graduated from Clark University, alumni from the Class of 2018 have been pursuing career, education, and service paths in a broad range of fields. Recent data gathered from the Class of 2018 found that within six months of receiving their bachelor’s degrees, 98 percent of Clark graduates are employed full or part time, participate in voluntary service, serve in the U.S. Armed Forces, or are enrolled in a program of continuing education. The First Destination Report by the LEEP Center’s Career Development Office finds Clark graduates employed in an array of for-profit and not-for-profit settings, including research, education, human services, marketing, finance, technology, advocacy, and communications. Among their employers are Amazon, Bank of America, Boston Children’s Hospital, Estee Lauder Companies, CBS Television, Bloomberg, American Red Cross, Descartes Systems Group, Morgan Stanley, and Pfizer. 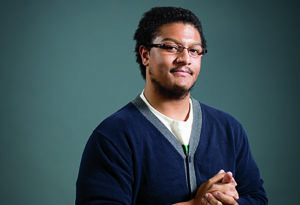 Some alumni have started their own companies in technology and marketing. Clark alumni also are pursuing advanced degrees at prestigious universities like Brown University, the London School of Economics, George Washington University, Boston University, and the University of Pennsylvania. Still others are involved in service programs, including the Peace Corps and AmeriCorps. 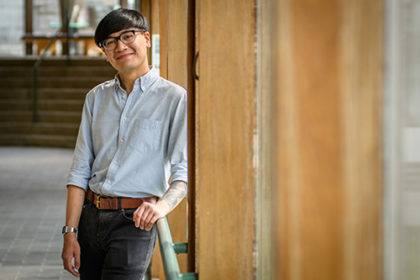 Christian Rentsman ’18, a software development engineer for Amazon, majored in math and computer science at Clark, but his minor in comparative literature refined his communication skills, broadened his worldview, and helped him become conversant in Japanese. 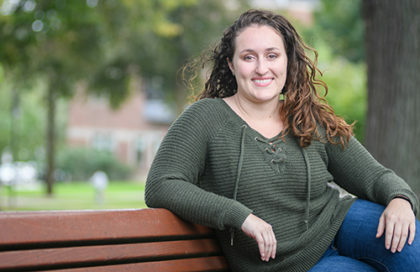 Management major Emilee Cocuzzo took advantage of Clark University’s Accelerated B.A./Master’s Program to earn an MBA. She has been hired as a management consultant by Booz Allen Hamilton in Washington, D.C., an outcome made possible by a Clark education that offered lessons beyond the classroom. At Clark, Amiel Jaggernauth ’18, majored in biology and worked as part of a research team in Professor Neva Meyer’s lab. His ambition was to merge his science acumen with business studies to shape a career in biotech. As a full-time MBA candidate in the D’Amore-McKim School of Business at Northeastern University, he’s one step closer to that goal. From the moment they arrive on campus, Clark students are provided with resources and advising to help shape their academic journeys and chart their professional paths. Through ClarkCONNECT, students establish connections — with alumni, faculty, and/or parents — that create pathways for internships, research collaborations, networking and employment opportunities, advice, and guidance about careers and industries. While she was a student majoring in international development and social change, Madelyn Bowers ’18 secured an internship at a Washington, D.C., nonprofit thanks to an alumni networking relationship she’d established through ClarkCONNECT. Today, she’s a research associate at EAB, a Washington-based consulting firm specializing in education issues. 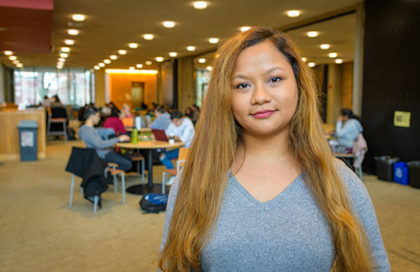 Utkristaa Shrestha ’20 is one of ClarkCONNECT’s many ongoing success stories. The economics major interned last summer at RXR Realty, which manages $18 billion in commercial real estate properties and investments in New York City and the tri-state area. Company CEO Scott Rechler ’89 and vice chairman and general counsel Jason Barnett ’90 are both Clark alumni. “RXR was like an extension of Clark for me,” Shrestha says. “If I didn’t understand a concept, people took the time to explain it to me and helped me see how it connected to the bigger picture. They made me feel I added value to the company. Clark also makes it easy for students to connect with potential employers through Handshake, an online recruitment tool. Companies post entry-level job and internship postings, news is shared about campus career events and interviews, and students customize their career exploration. Handshake is quickly becoming the standard: more than 700 universities, 250,000 organizations, and all of the Fortune 500 companies use the platform. The First Generation Report data were obtained from 82 percent of the Class of 2018 using Clark’s Senior Survey as the primary tool, with supplementary information from LinkedIn, Clark faculty and staff, and others with first-hand knowledge of the alumni’s activities.